I welcome most remakes, even if I don't actually enjoy that many. If nothing else, they do at least draw attention to the vastly superior original, which can only be a good thing, right? Poltergeist is a strange beast because even if you ignore that it was a collaboration between Tobe Hooper and Steven Spielberg, two directors at the top of their game, it's still a film synonymous with the horror genre. Whether that has more to do with the 'curse' that followed the series remains open to debate, but the truth is, Poltergeist 1982 wasn't that good a movie. There were moments that shaped the genre for years to come, sure, but it's hardly a horror classic. Which puts me in unfamiliar territory when it comes to viewing the remake. A film that, in order to make good, has to provide a fresh take on the original movie, a film that has been imitated, torn apart and beaten to submission every year since. Or so it would seem. Pretty much every supernatural home-invasion movie since 1982 has stolen from the original Poltergeist, that's how important Hooper's film is to the genre. Even if it isn't the classic some people fondly remember it as. Gil Kenan (Monster House) had a big challenge going in and against all odds he gets so much right. The cast is great for a start. Sam Rockwell is his ever-reliable twitchy self, Jared Harris entertains and the kids run away with the movie. Kennedi Clements takes on the role made famous by Heather O-Rourke, and she nails the most iconic scenes. Kyle Catlett gets the balance just right between cutesy kid and troubled soul, bringing genuine warmth to the role of Griffin, and Saxon Sharbino comes good as the sulky teenage daughter who can't live without modern technology. That's another thing the remake gets right, successfully bringing the story up to date with some neat twists on a tired sub-genre. The effects are accomplished too, particularly in the final act when some of the principal characters are asked to enter another dimension. A little too polished at times, that goes without saying, but rarely unwelcome. 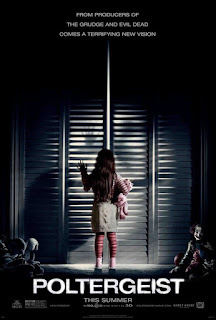 The problem is, no matter what scripter David Lindsay-Abaire and director Gil Kenan come up with, Poltergeist 2015 is just another haunted house movie. Worse still, being a remake of a much-loved film, it has no choice but to play by the rules of horror remakes, revisiting the scary clowns, haunted tree, creaking closet doors and talking TV sets in derivative fashion. 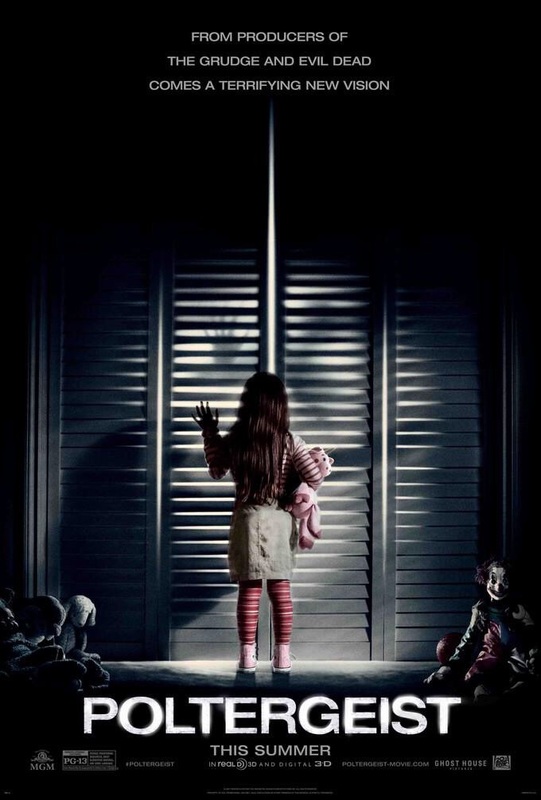 Had this been the first of its kind we would have looked on it more favourably, as it is, Poltergeist is an accomplished remake but nothing we haven't seen before. Give Gil Kenan something original to work on and we might be telling a different story. 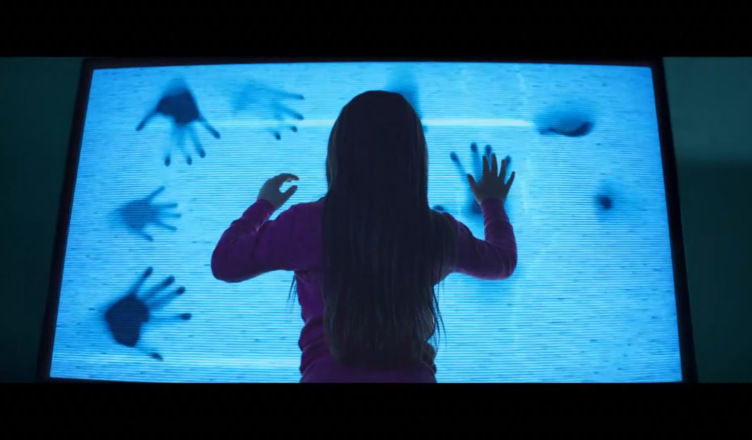 As far as remakes go, Poltergeist 2015 is an attractive package. Strong performances, cool effects and the occasional sprinkling of originality work in its favour. Every other haunted house movie made since 1982 doesn't. Worth a look as long as you keep your expectations low.